Our rope access technicians reach (almost) for the stars for you. “Advertising technology on ropes” is a special service offered by AR DISPLAY. 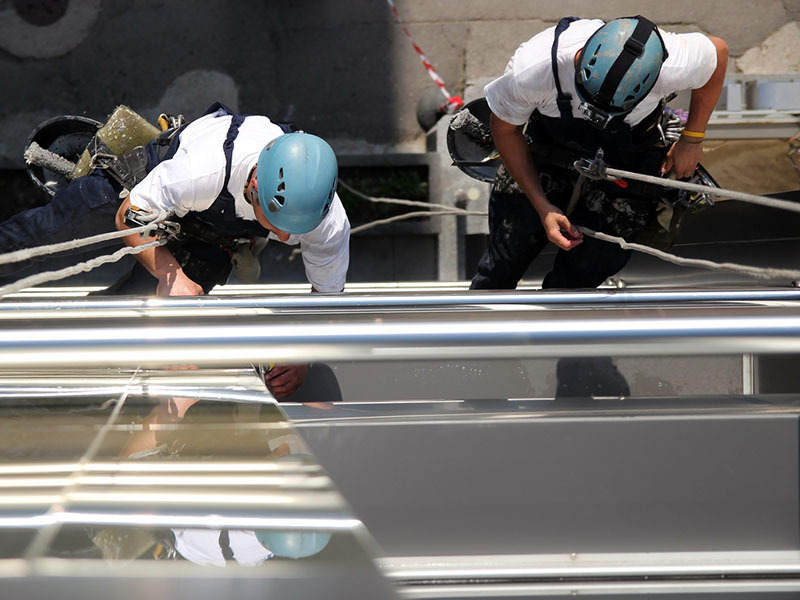 Our rope access technicians position and mount your large-format prints and advertising in places that are impossible to reach even with risers or elevating platforms.